Détails sur CDM AUDIO/EXTRAIT DE LA COMPIL SACHONS DIRE NON MR R FEAT. 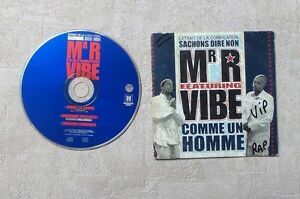 VIBE "COMME UN HOMME"
CDM AUDIO/EXTRAIT DE LA COMPIL SACHONS DIRE NON MR R FEAT. VIBE "COMME UN HOMME"